I read my New Year’s transmission from 2016 called One Giant Leap to connect to the threads of last year as I prepped for my 2017 writing and was joyous to behold the profound synchronicities that have passed during this year of intense growth. It truly has been one giant leap for our species: 2016 was one of the most powerful years to date and the evolution of consciousness continues to accelerate at a dizzying pace. Frequently, it feels as if the very structure of reality is breaking down, something immensely evident on a macrocosmic level in the geopolitical world, perhaps nowhere more telling than not only the results of the US election but all that emerged during its proceedings. There was the uprooting of massive corruption between the Democratic Party and the corporate oligarchy, primarily via the corporate mass media colluding in suppressing the true candidate of our zeitgeist, Bernie Sanders, and promoting an outsider in Donald Trump (even the Republicans rejected him). The Democrats seemed to have hedged their bets on hoping Trump would be the easiest for Clinton to defeat given her struggles with endless scandals. And yet, the morning I woke to discover Trump had won was one of the most radical energetic shifts I had felt. Something I hadn't felt since 9-11, only this time it was a feeling of exhilaration, not horror. This is not to say Trump is in any way a saviour or even a potentially good President but that the elites who have been vying to control our reality did not expect a Trump win. Arrogance is always the achilles heel of tyranny and this seems to be showing itself in spades. 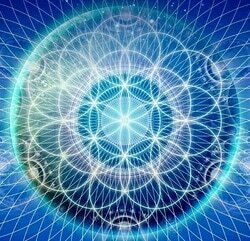 What this meant energetically was that the dominant timeline that elite powers on the planet have been orchestrating for decades if not centuries more through mass media control, perpetual warfare and a host of other paradigm manipulations had suddenly been replaced by a new one—an assertion of our collective humanity, reclaiming control of the powers of creation of our world. Truly, this is what my partner and I mused upon while lying in bed contemplating the stunning result of the election in the country that is the primary effector of the world—it felt as though a wave of incredibly powerful consciousness had been stirred and was crashing through reality, transforming things like never before. We are now in that strange and even eerie place following a giant leap: the unknown of not knowing exactly where we’ve landed. This is why there’s so much seeming tumult now macrocosmically on the geopolitical stage and also microcosmically in our lives—2016 was a time of tremendous courage where an empowered collective of humanity united to challenge the old world order, climaxing in the incipient victory of Standing Rock, which has lit a fire of activated humanity that will continue to grow in the coming years as more and more people realize that the fight to save the Earth is THE fight. I and other visionaries have perpetually purported that it would be the environmental crisis that would resolutely unite a divisive humanity and galvanize us to take on the corporate-government hegemony. And that’s exactly what we are witnessing. At Standing Rock, not only did a united humanity victoriously resist nefarious corporate interests, but it also represented the coming together of legion North American indigenous tribes who had not connected in a very long time. Moreover, cultures from all around the world are uniting under indigenous leadership. There was also the moving forgiveness ceremony conducted by the US Army Veterans to ask for forgiveness on behalf of colonial culture from the Native Americans who were victims of genocide. These are no small feats. In the spiritual world, this was akin to the lighting of the torches at the conclusion of “The Return of the King” in The Lord of the Rings to call on all the tribes of Middle Earth to unite to fight the dark forces of Sauron. Massive things are being swept into play by the flap of these brilliant butterfly wings of beauty. I had the blessing to ring in 2017 at the Cosmic Convergence Festival in Guatemala, a truly magnificent transformative adventure. For five days, humans from all over the world came together to revel in high vibing dance music, diverse, live performances from musicians from all over the globe, healing workshops, yoga, nutritious foods and elixirs, consciousness explorations, and many magical and spontaneous orchestrations and cuddle puddling bliss-bombings. All of this was forged in a container by unbelievably beautiful and wise Mayan elders who held sacralizing opening and closing ceremonies, as well as those to honour the sacred waters and a tobacco ceremony to honour right and ‘revelatious’ use of this medicinal plant to support complete letting go of all that is no longer needed. One of my personal highlights was participating in a Trance Dance workshop withGaia Ma from Inanitah. During fervent shaking and pulsing psy-trance beats, we moved and cathartically released for 90 minutes in a beautiful open field surrounded by volcanoes with our eyes closed the whole time! The theme was of a caterpillar bursting as a butterfly from its chrysalis as a metaphorical movement map to engage our own personal and collective journey as a species coming into its full empowerment! What a better symbol of coming into our full-on glory!!! This is where glory becomes full-on. It’s a commitment, full-on, to each and every day see oneself and one’s widening, emboldening community, as caretaker for this newborn world that we are nurturing, inspiring, cultivating, co-creating together—as something so glorious and bold that we could remake the world—godly/goddessly/divine/and yet indigenously human, Earth-arisen, cosmically endowed; taking universal shape; becoming impervious to the deceptions of old that oppressed our true power from summiting rightfully the holy mountain of our fulfillment and possibility as a divinely human being and a transcendent and ever-singing song of galactic soul! And just like ecstasy, glory should not be taken as something patriotic to the terrain of joy alone—recall that ecstasy means intense feeling states, intensity denoting a wide spectrum of high vibrations that could range from bursting joy, to grave-digging grief, to utter horror. Glory harkens to be the standing in full splendourousness, where all is accepted because we know deep in the essence of what we are, that no matter the adversity, no matter what is before us, we can take it on. In this knowing of our instinctual genius, we actually revel in the midst of struggle: when it beckons, there is no hesitation in us to lift our chin to face it, find our robust, centering breath, and with a ferocious presence, leap into engagement. A subtle smile spreads its humble arms, cupping one of the sweetest feelings—the knowing that here is an opportunity to practice and exude the brilliance of the human soul; before the most defying conflict, a chance to weave the most nimble, and incredibly restoring unity that will bless enemies, turn demons to winged virtues and invite the whispers of the divine and galactic ones to nestle in the ears of our hearts the universal wisdom that makes the world torrential with virtue. This next year and those to come will not necessarily be paradise. In fact, there will be times when we feel paradise to be totally lost. But so much less will be our dismay, the more exuberant and enthused our hope, more active our willingness to be the change; the great shift. We will be required to tousle together more to support each other’s glory and to fully and finally understand that glory is ultimately born from our connectivity, becomes more radiant, as if we are logs blazing away, feeding a greater flame when touched together. And this great LIGHT, this bounding illumination of our collective consciousness, our interdependent awakening, that is washing the world awake, is for us all to tend, to adore and be devoted too, especially when the shadows writhe by being touched, perhaps for the first time since immemorial, by the blessed ray of unity; of love. There is no turning back now—we have taken the leap, and our feet landed on cosmic ground. We are bursting with miraculous potentials and now we shall witness the full glory of what we really are and what all really is. It is not a time to let up but to surrender to the immense waves of consciousness evolution, stirring us awake to our true identity as magical Creators of realities, worlds, and wondrous frequencies of beauty and truth. Let this be a year where you allow your most excellent qualities be honoured, and committed to total unfurling, for we all need each other in such brilliance now to save the planet, and celebrate this new world dawning by the beat of our mutual dreaming of the possible paradise we already feel and see in the depths of our endless hearts! Be glorious, relentlessly, for we are nothing less!